The Mock Trial Honor Society is a student-run organization that strives to empower law students to excel in the courtroom. Members participate in national, regional, and intraschool competitions, and, in doing so, transform knowledge from the classroom to practical abilities. 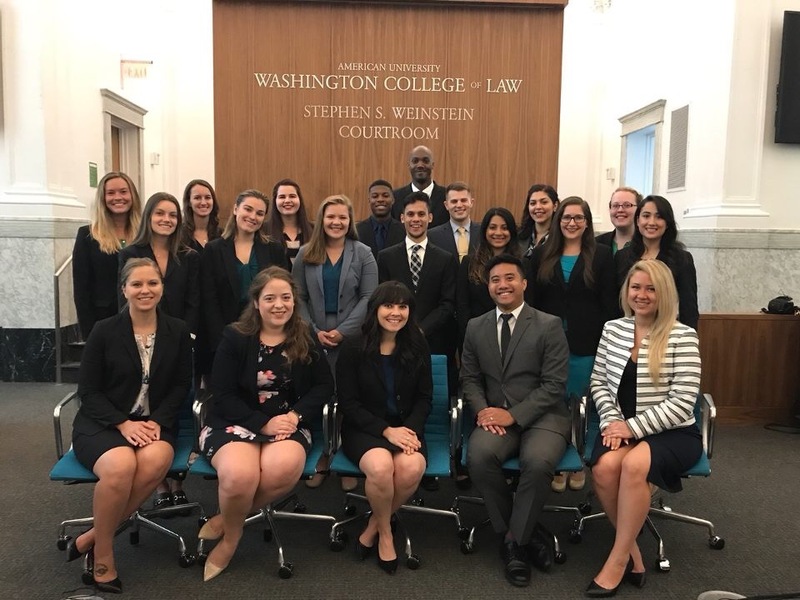 The Society works closely with the Stephen S. Weinstein Trial Advocacy Program at AUWCL to prepare members to become successful advocates. Members are required to participate in one competition per year, either during the fall or spring semester. Members earn 2 credits per academic year, make lasting connections, and are provided various scholarship and professional opportunities in both criminal and civil litigation. Ultimately, Society members gain knowledge, flexibility, adaptability, experience, and expertise in trial skills, oratorical skills, evidence, and teamwork.